News from the industry’s top experts. All rights reserved. An update with Dr. Bernardino Arocha of Arocha Hair Restoration in Houston Texas. 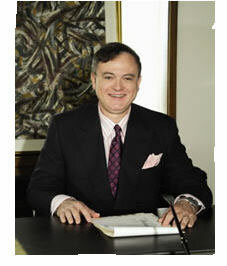 Dr. Arocha also makes himself available for Hair Restoration Surgery in Dallas. He is affiliated with the International Society of Hair Restoration Surgery and is a Diplomat of the American Board of Hair Restoration Surgery, as well as the American Academy of Cosmetic Surgery among others. HH – Dr. Arocha, what’s new with you? DA – I was interviewed on NBC-5 in Dallas on female hair loss – and the differences between male and female hair loss. HH – Did they interview a patient? DA – Yes and they did a great job. Her before and after results were shown. HH – What was this patient’s main problem? DA – She had female pattern baldness – hairloss due to genetics. HH – Is that much like male pattern baldness and is it treated the same? DA – The pattern in women is different than men. Men usually lose their hair in front, but women –usually retain the hair line and thin behind to include the frontal and mid scalp areas in Ludwig I and II. HH – What were your challenges when she first came in to see you? DA – She had severe thinning on the top of the head which is typical of female pattern hair loss for a women. HH – Does this kind of surgery require different skills for women? DA – Well, some 30 million across the U.S. suffer from hair loss and only recently are women seeking out transplantation as a choice. But more women than ever are going this way? 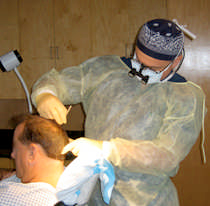 The surgery itself can accelerate their hairloss, but I work with them and have refined the technique to minimize the extent of the injury due to surgery and maximize the density of the follicular units transplanted. HH – Why did it take women so long to see a transplant doctor? DA – I think it’s because they can get away with thinning hair longer – because of styling. Women don’t actually go completely bald – it’s more a progressive thinning. However a smaller percentage do progress to a more advanced stage a Ludwig III. This stage is characterized by more severe thinning on top and an unstable donor. HH – What would you say to a female with thinning hair? DA – The message is that the technology and science has advanced to where we can restore density where they need it, so it facilitates their styling options – while remaining natural and undetectable. HH – Carol – When did this all start for you? Carol – I began noticing a thinning hair problem in my late 30’s. It settled down, but when I hit my mid-50’s – I noticed how thin it was. HH – What did you try? Carol – A number of alternatives – I tried Minoxydol, but looked into hairpieces and hair extensions – those types of things. I bought several wigs. In the summer, they were way too hot. HH – Yes, they can be uncomfortable in the summer. Carol – That’s right. And they look good in the short term. 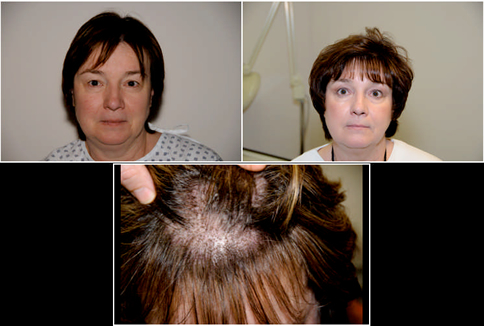 Carol – Initially, I didn’t think hair transplantation wasn’t for me. I had known a few men who had transplantations back in the 1970’s and they look bad – and that always stuck with me. Carol – Yes, but as I looked into the other alternatives as mentioned, I started looking back into transplantation. HH – Did you go to a dermatologist? Carol – Yes – and he originally put me on Minoxidil. He had diagnosed me with pattern baldness. Ludwig 3 was diagnosed and that’s pretty severe. I began doing more homework – and talked to several transplant doctors. Carol – I finally contacted Dr. Arocha and he confirmed that I had pattern baldness. I saw his work and was convinced this is what I wanted. HH – How many sessions have you had? Carol – One up to now. HH – Does baldness run in your family? Carol – My mother and two of her sisters have dark, thin and stringy hair and my father is bald. My thinness was on the crown and forward. HH – Sounds like it was in the cards. Carol – Now I know what men struggle with. I’m glad I did the transplant and it seems to look just great.